This one was one of the anime that me and my boyfriend watched the last summer and the anime was really awesome but then I started reading the manga and... it's way better and interesting! There's a lot of differences and I think that the manga is better because explains the story better and is really quick (the anime surprise you a lot but the most interesting story plot starts after the anime events). The story is full of spoilers so it's difficult to say something about it... but long story short: three girls and their teacher make up the School Life Club, a club where you have to live at school. 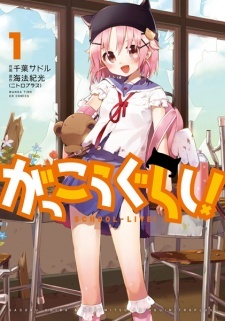 Comments Tags: Gakkou Gurashi!, Gakkougurashi!, School-Live!, がっこうぐらし! © 2019 My Manga Reviews. All Rights Reserved. WordPress Theme by: RoseCityGardens. All characters, trademarks, and properties are © their respective owners. 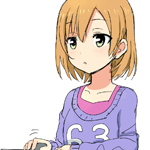 The images used on this blog are not owned by My Manga Reviews nor its writers unless stated otherwise. If you find that we are using an image from you please let us know and we will remove it.